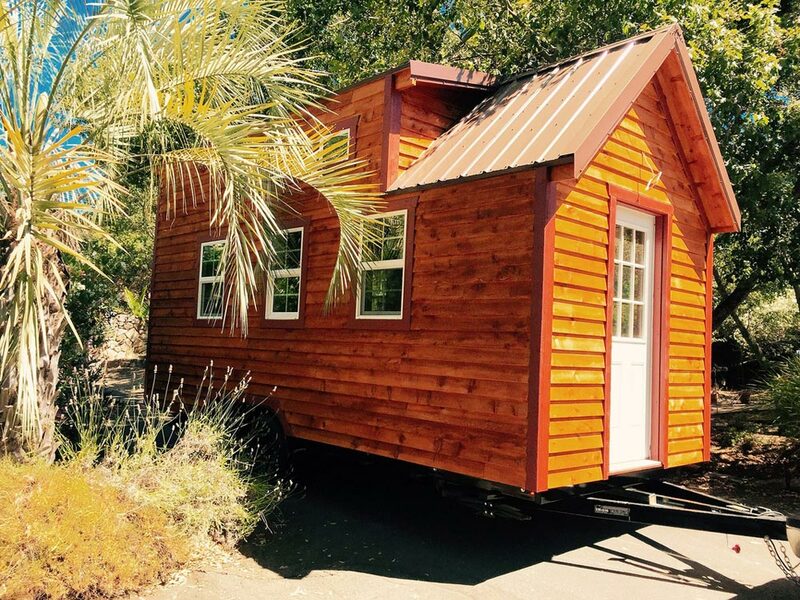 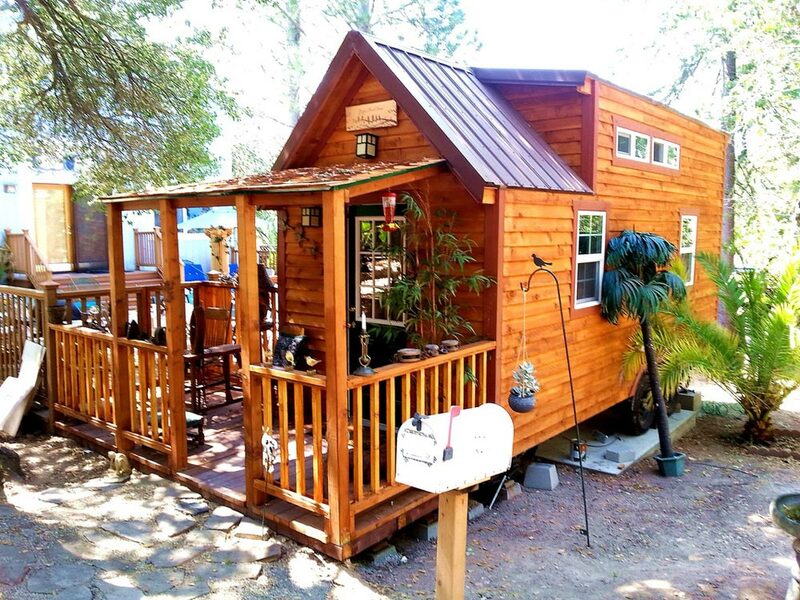 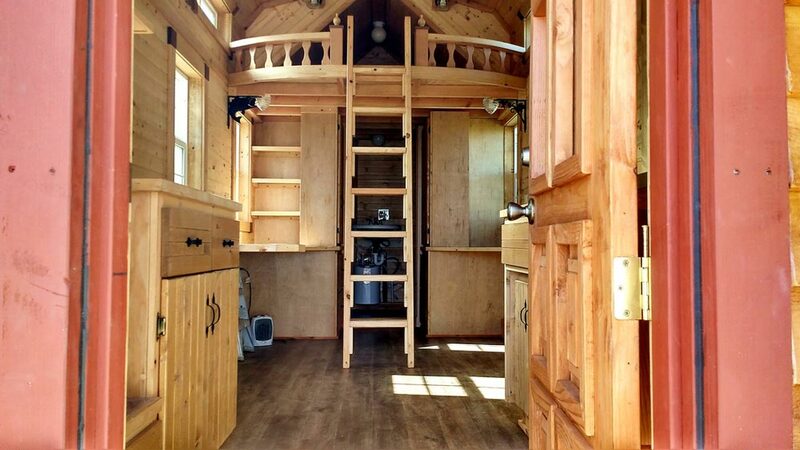 The Sonoma was designed and built by SunWest Tiny Homes in California’s Sacramento Valley. 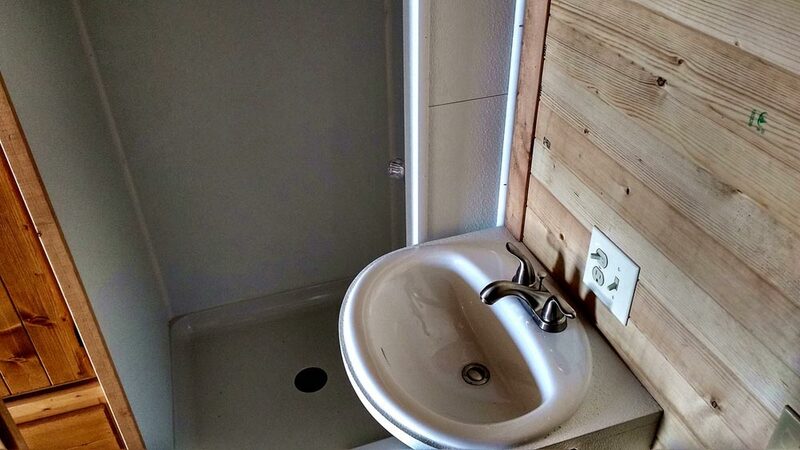 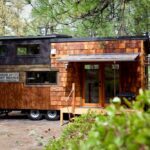 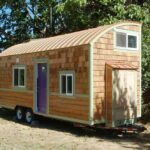 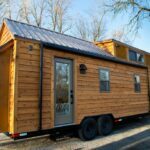 The tiny house was built on an Iron Eagle dual axle trailer and is available in 20′, 24′, and 28′ lengths. 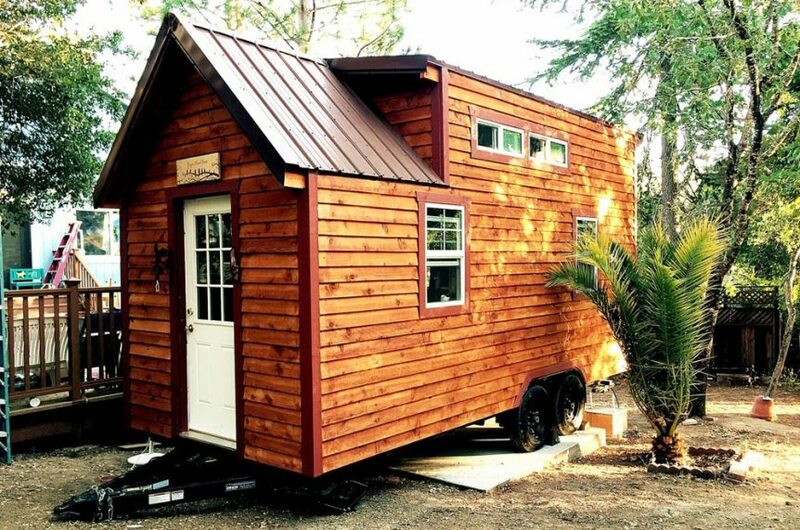 The 28′ house uses a triple axle trailer. 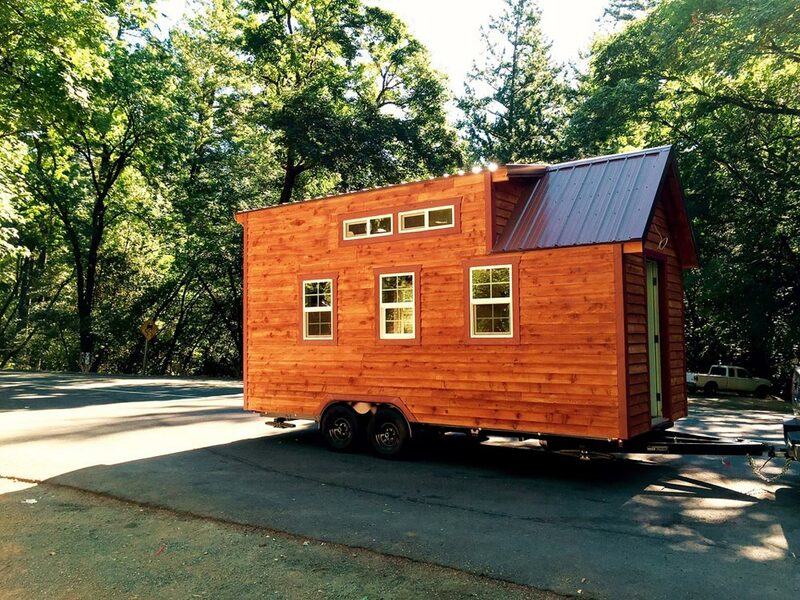 The cedar exterior contrasts nicely with the white windows and door. 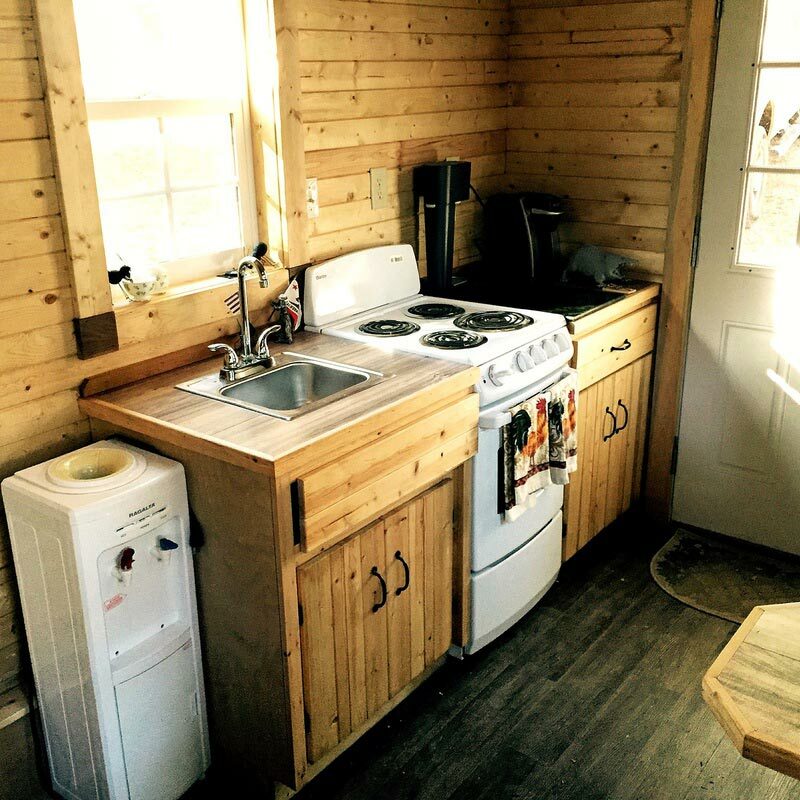 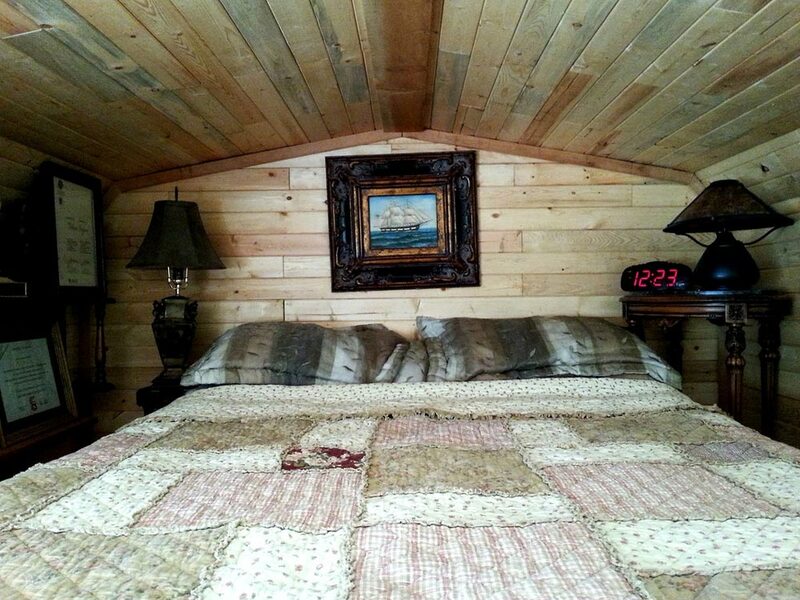 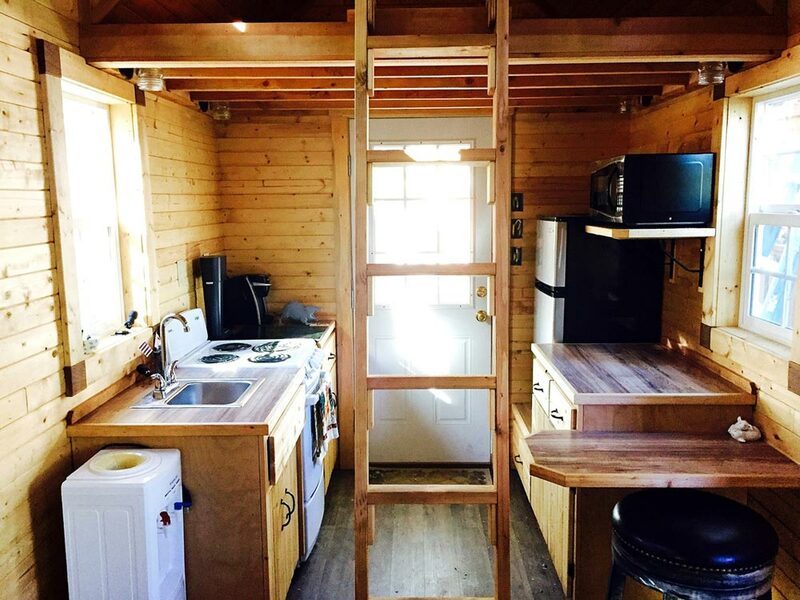 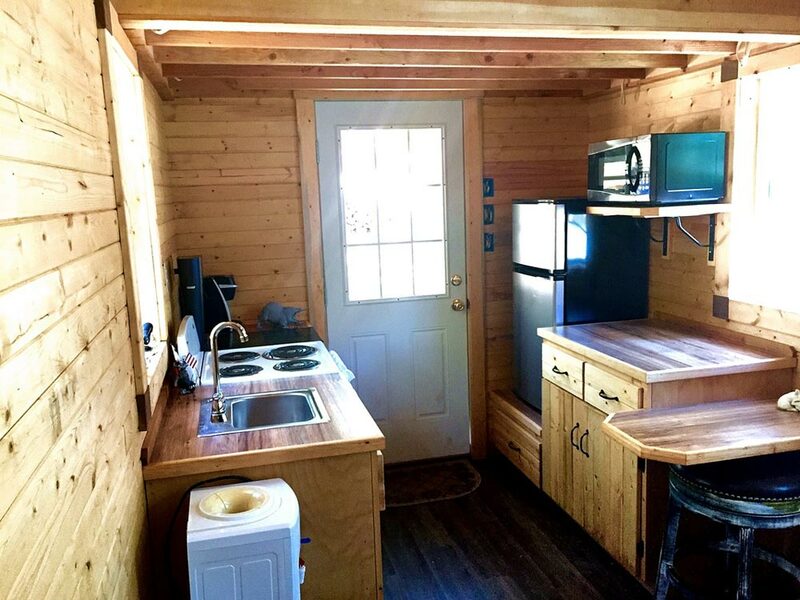 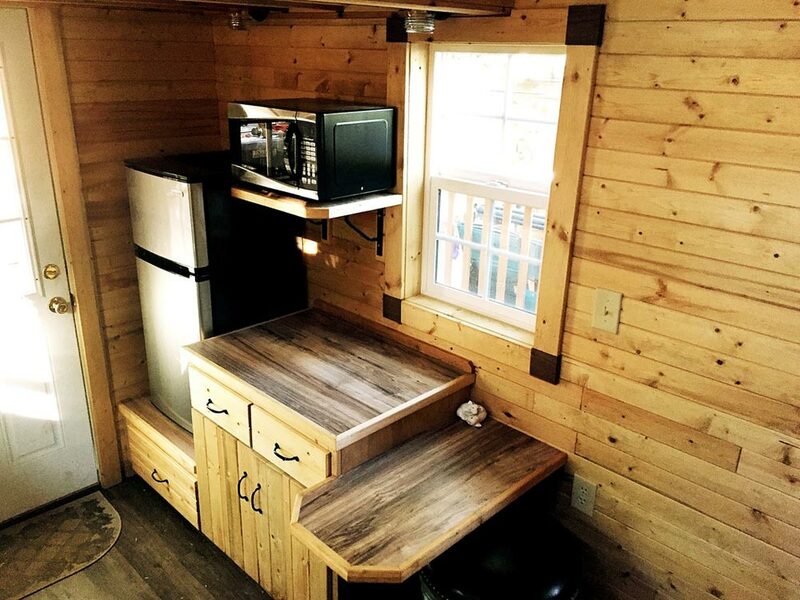 The pine interior gives the tiny house a rustic cabin theme. 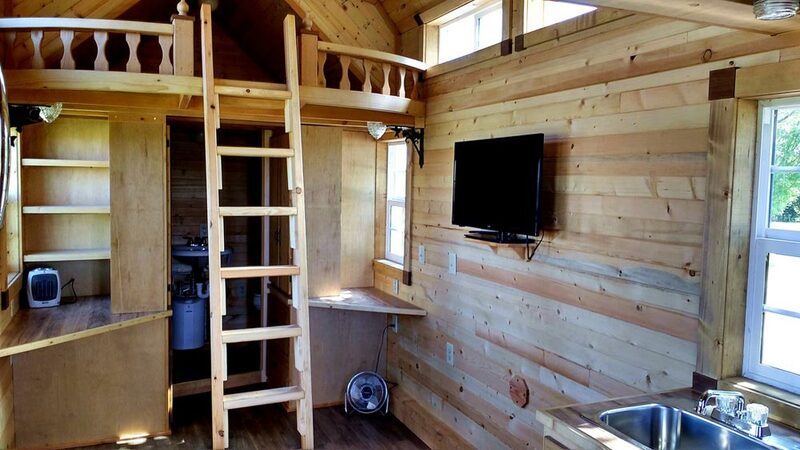 Large double dormers provide a roomy bedroom loft accessed by a ladder. 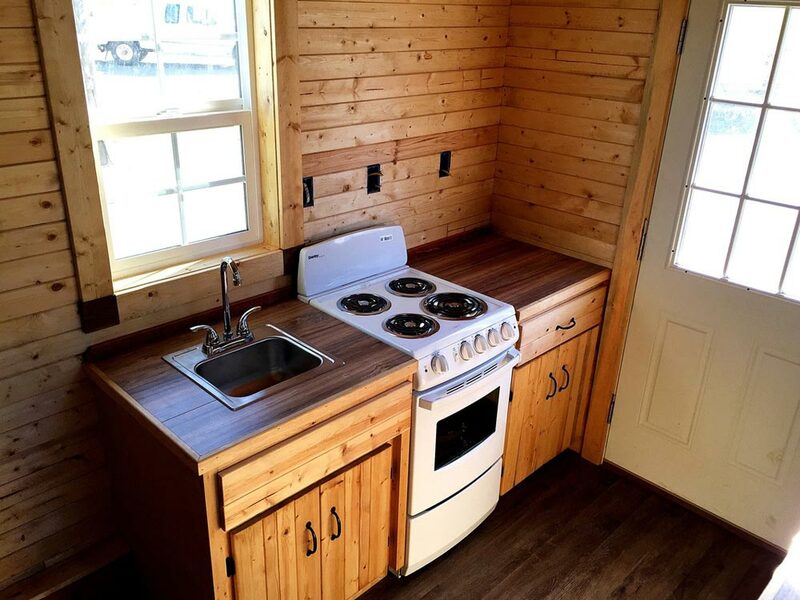 The kitchen includes custom cabinets, small stainless steel refrigerator, a freestanding range, and a microwave. 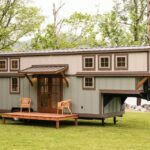 The Sonoma is available fully finished starting at $39,000 or as a shell for $19,500. 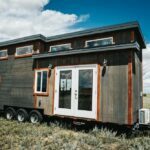 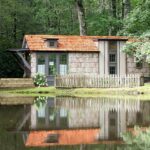 Four Eagle by The Tiny Home Co.